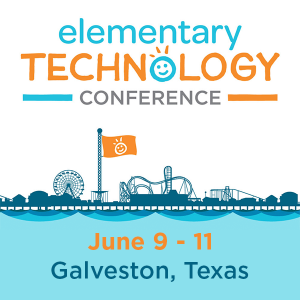 “One of the challenges for ed tech folks to bring about change is knowing how to do it,” I said to Steve Dembo (@teach42) when he visited Austin, Tx for the TCEA TEC-SIG spring meeting. It was a conclusion I had come to after many years as an ed tech advocate. For those seeking to pursue the school makerspace will-o’-the-wisp eldritch light, overcoming this challenge is critical. This blog entry discusses this question in the context of school makerspaces. True leaders know how to build relationships that engender trust, trust that eases the bumps and bruises of walking forward in the unknown dark. Most educational technology folks focus on the benefits of the technology as their main selling point, yet this can be insufficient. Adopting a maker attitude and building makerspaces in schools and libraries seems obvious. Yet the challenge isn’t the technology. It’s the human relationships that support any change effort. Without trust in the technologist, no technology can succeed. “You have to meet with people before the big decision is made,” said one colleague years ago. “You need to introduce the ideas and information so that people have time to think about it, one on one.” This tip for relationship building is to start having conversations that genuinely show concern for the needs of others. As trust builds and as you get a sense for how others think (and feel), you can start introducing some of the core ideas of the maker movement. Makers may be defined “as people who design and make things because they find it intrinsically rewarding to make, tinker, problem-solve, discover, and share what they have learned” (Kalil, 2013). Your school and district leaders, librarians, and teachers must understand this isn’t about the technology, but is rather about cultivating a maker attitude in themselves and students. …the history of the adoption of computers in schools suggests a lurking danger: a seductive, but fatally flawed conceptualization of the Maker Movement that assumes its power lies primarily in its revolutionary tool set, that these tools hold the power to catalyze transformations in education. Once you have built trust with district and/or campus leaders and gathered the as yet untrained support of librarians, you will need to establish a budget. When setting up a makerspace budget, consider what kind of space your stakeholders will find easiest to begin with and that has minimal budget impact. It’s much better to have a low-budget success than a high-cost failure stalled by expensive technology. For example, when rolling out Raspberry Pi for a summer camp, I failed to take into account the time required to setup the devices and all the necessary extras (e.g. WiFi USB dongle, cables, and stuff) needed for a student do-able activity. Worse, the cost of all the additional items killed the initiative its first year because supplies were not available from our usual vendors. If you lack purchasing authority, you may need to pursue crowd-sourced funding options such as Kickstarter and DonorsChoose. View some suggestions and tips online. Even with a budget in place, you may find yourself at a temporary impasse as your standard vendors may not have what your makerspace needs. You may need to contact sole source vendors to obtain necessary sole source letters and W9 forms to be able to do business with them. You may also want to find a convenient reseller. The reseller is someone you do have an open purchase order with that can order what you need from vendors not on your district approved list. This can be a real time-saver. Conduct a weekly podcast featuring pictures/videos of student creations, no matter how cheesy they may seem at first blush. Part of your work is documenting the growth of makers in your community, so tweet, Instagram, and Facebook pictures and videos. You can schedule tweets in advance to ensure their maker attitude is on display seven days a week. Find out how here. Create tiered levels of experience that align to the skill level and age level of young makers. This can ensure your makers are always learning and growing towards something. Build up your stock of resources and setup supply lines within your academic community. This way, you will have a ready supply of cardboard and other raw materials for less techcentric activities. This will also lower your overall cost. Develop a community of mentors for both staff and students. Actively encourage mentoring and differentiate between levels of experience. You want to build depth of the community, and you can accomplish that by implementing badging for various aspects. Invite leaders to give making a try, and include students with parents. Spend time sharing the importance of cultivating a maker attitude up front, and align everything you say and do to that.